(BEDFORD) - The 45th Annual Lawrence County Spelling Bee presented by Ivy Tech Community College in Bedford, takes place today and Tuesday, February 12 at Bedford Middle School Schafer Auditorium. The Lawrence County Spelling Bee is open to the public and free to attend. 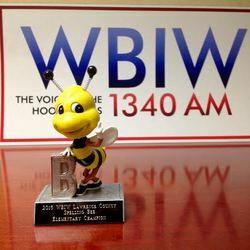 Doors open for spectators at 4:30 p.m. You can also listen to a playback of the competition on the airwaves of 1340 WBIW or streaming online at WBIW.com both days at 6:30 p.m.
All participants receive a 1340 AM WBIW Spelling Bee t-shirt and a certificate. The top three contestants representing Lawrence County will also receive a bee bobble-head trophy. The overall Spelling Bee champion will receive a $100 cash prize provided by Bedford Federal Savings Bank. Each Elementary School in Lawrence County will send their school champion to compete today. This first day of the spelling bee will determine the Elementary School Champion for Lawrence County. On Tuesday, all of the Middle Schools in the county will send their school champion to compete and the elementary school champion will compete. 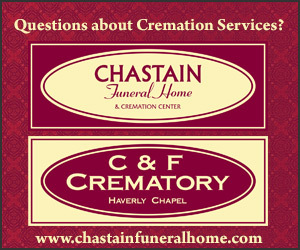 The winner of this round is named the 2019 Lawrence County Spelling Bee Champion and then will have the opportunity to move on to the Kentucky Derby Festival Spelling Bee.